“Main musalman hun, yehi mera gunah hai? (Is being Muslim my sin? 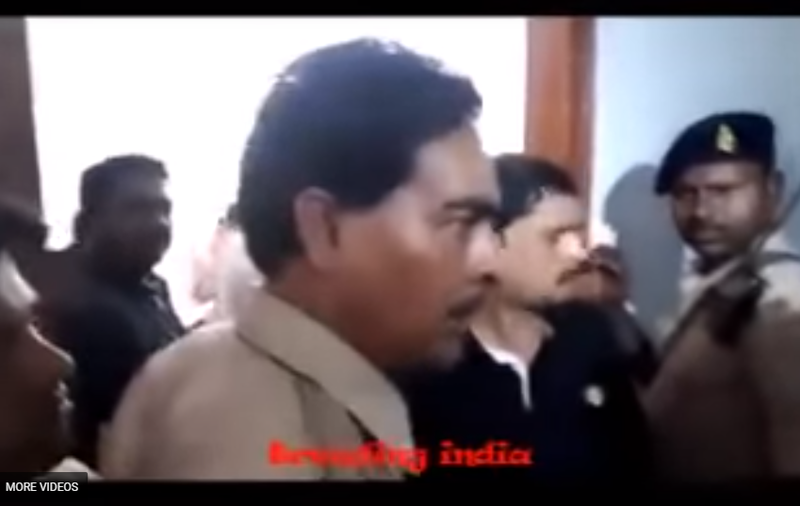 )”, says a Jharkhand police officer repeatedly in a video which has gone viral on social media. Local BJP workers and leaders gathered at the Doranda police station in Ranchi after Dhiraj Ram, 39, was shot dead in the early hours last Wednesday. They charged that station in-charge Abid Khan had ‘deliberately’ not taken action in the case. The police officer, who has a good reputation among the common people, was upset. In the video Mr. Khan is seen expressing his anguish, while standing among the crowd. Meanwhile, the police arrested four persons, Md Ali Khan, Md Arif, Md Salman Ansari and Md Chand Ansari, all residents of Doranda, in the case on Saturday. They were remanded in judicial custody on Sunday.